No colours or frills, just good old-fashioned illumination at your command. 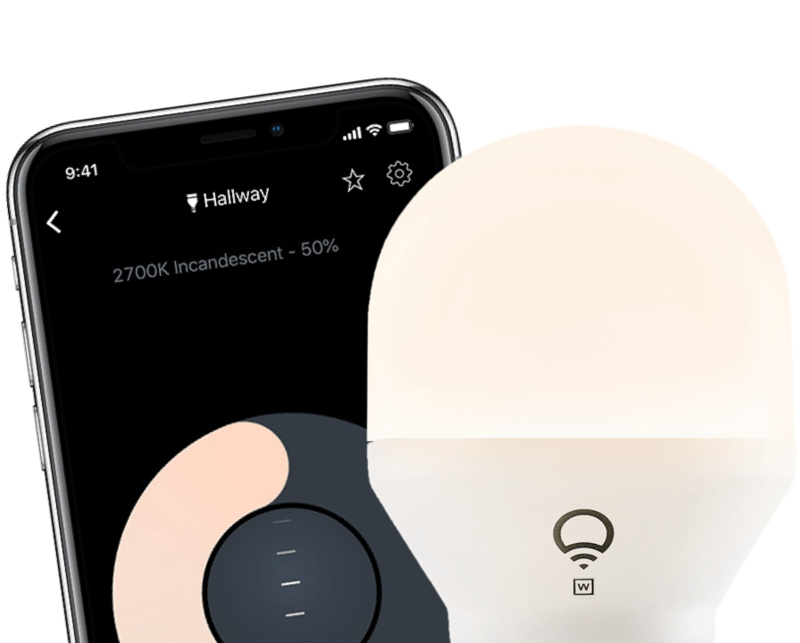 Perfect for easy, affordable smart lighting in your home. At 800 lumens the Mini White is the equivalent brightness to a 60 watt incandescent bulb, from just 9 watts of power. Automate your lighting to suit your daily schedule. Wake up with your lights fading on, or be greeted by a home filled with light. Control your LIFX lights with help from The Google Assistant, Siri, Amazon Alexa and Microsoft Cortana. Control your lights with the free LIFX App. Create powerful scenes, apply effects, set schedules or take manual control. The ideal temperature of warm white lighting for your home. At 2700 Kelvins, the Mini White has a traditional, warm & cosy feel. Explore themes, animate, strobe, visualise your music and much more. All available in the free LIFX App. Dim your Mini White from 100% - 1% brightness to suit any occasion instantly with the LIFX App or by asking your voice assistant. No need to call in the electrician or rewire your house.